I am a reliable and experienced woman looking for part time work in Home Care services to look after the elderly at home. I have 4 years and 5 months of work experience in Aged care facilities and I am still working. I'm looking for extra jobs as a personal care worker. I enjoy helping others and have a passion for providing supportive care and help to improve quality of life of elderly people with disabilities and dementia. I’m qualified with Certificate III in Aged Care and Certificate III In Home and Community Care. I have First aid, CPR and Manual Handling and Police Clearance. If you wish to hire me, I’m available Monday to Sunday, afternoon and evening and willing to travel 30km – 35km from my home. I live in Endeavour Hills Areas. Find your home care match online. 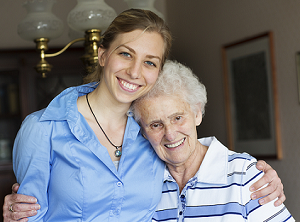 Get connected with most trusted and skilled Carers in Endeavour Hills.